Beijing’s renewed crackdown against homegrown acts of violence has not only cast a fresh spotlight on terrorism in the mainland, but also sparked complaints over the world’s perceived double standards when it comes to China’s efforts at stifling extremists. In the past week, Chinese state-owned media released a string of aggressive editorials blasting Western nations for a lack of support towards attacks on mainland soil as officials crack down heavily on radicals in the autonomous region of Xinjiang. Last Friday, police there killed 28 suspected terrorists responsible for a September attack on a coal mine, according to Xinhua. “Due to their deep-rooted bias and double standard, some Western countries and their media refuse to recognize the violence and attacks masterminded by extremists in China’s Xinjiang Uighur region as acts of terrorism. In their eyes, only terrorist attacks that happen on Western soil can be called acts of terrorism,” said an op-ed in the China Daily last Tuesday. The world’s second-largest economy has long faced frequent attacks by Uighurs, a Turkic ethnic group that is predominantly Muslim, in Xinjiang. 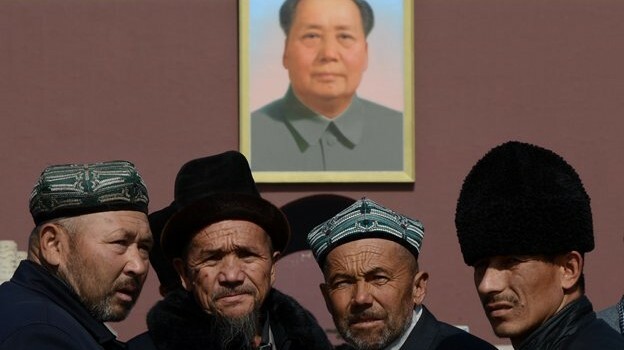 Uighurs say they face constant religious, language and economic discrimination by the government, such as bans on fasting during Ramadan, women wearing veils and young men growing beards. Their sense of inequality, coupled with sentiments of separatism, have sparked violent outbreaks, such as a series of riots in 2009 and a number of stabbings last year. So, are the Uighurs terrorists or freedom fighters? It depends on who their attacks target, experts say. “Until the last couple of years, violence was directed against local representatives’ state power in response to local grievances, without the premeditated and ideological character of terrorism,” noted Anthony Garnaut, lecturer at the University of Melbourne. While that’s still the case for most attacks, he notes a number of recent incidents fit squarely within conventional understandings of terrorism, such as the explosion of a car in Bejing’s Tiananmen Square that killed two civilians and injured 38 others in 2013. Some human rights activists say Uighur violence is being exacerbated by Beijing’s anti-terror zeal. Pervasive ethnic discrimination and religious repression justified by the government in the name of the fight against terrorism continue to fuel rising tensions in Xinjiang, Human Rights Watch said in its 2015 World Report. “As we have seen in other parts of the world where relations between the dominant national population and minority populations have collapsed, such as Israel, the imperative of national security tends to get mixed up with the imperative to affirm the subordinate status of minorities,” explained Garnaut. A lack of reliable information and transparency are key factors explaining the disconnect between what the world thinks China does and what China says it’s doing, which makes any kind of state defense come off as oppression, echoed David Zweig, chair professor of social science at the Hong Kong University of Science and Technology. Indeed, foreigners are effectively barred entry from Xinjiang, which is currently under martial law, and little is known about the extremist group known as the East Turkestan Islamic Movement (ETIM), the focus of Beijing’s crackdown. The ETIM’s activities are tightly controlled by China, which blames the group for more than two hundred terrorist incidents in Xinjiang during 1990-2001, according to the Council of Foreign Relations. Part of the reason why China gets so angry at the West is because experts in the U.S. and Europe often view actions by the Chinese Communist Party suspiciously, which impacts how Beijing’s attempts at maintaining order are construed internationally, Zweig noted. Is Southeast Asia at risk of becoming a terrorhotbed? Indeed, the world’s second-largest economy is known for its opaque governance and international experts have long complained of its heavy-handed approach, from managing stock markets to cultural censorship. Beijing must publicly acknowledge the deepening inequality between the Uighur and Han ethnicities, Zweig recommended, noting that Xinjiang has a perfect overlay of wealth by district and ethnic divisions, with southern Xinxiang, where most Uighurs live, much poorer than the rest of region.